I totally get it. These sound absolutely disgusting and you’re probably thinking that beans and waffles do NOT go together and that this is something you would never, EVER make. I felt the same way but the ingredients sounded so curiously odd (and so darned healthy) and I was looking for an easier way to get beans into my little guy who just happened to love waffles. I read about these in Alicia Silverstone’s The Kind Mama and mentioned them in a flippant, apathetic, ‘in passing’ sort of way to my husband who responded with an overly enthusiastic, ‘Let’s make them!’ Not exactly what I wanted to hear (or was it?!) but now a year and half later I can tell you that we make these ALL THE TIME! I make double or triple batches and freeze them and we just pop them in the toaster as needed. Gluten free (make sure your oats are if this is a concern), packed full of fruit, nuts, beans, seeds, protein, fibre, omega 3’s, vitamins, minerals, phytonutrients…Need I say more. These are not only good for you and delicious, but they are super easy to make. You don’t even precook the beans. I definitely recommend a Vitamix or other high speed blender for these as the beans really need to be pulverized to ensure proper cooking. The beans do need to be pre-soaked preferably overnight although more often than not I soak them in the morning and make them at supper. If you are going to double the recipe, you will need to blend one batch at a time. Preheat your waffle maker. We just bought this Breville Waffle Maker which may seem a bit extravagant if you are unfamiliar with how often we eat waffles. This thing is great. It makes four deep, square perfect waffles at a time, has a digital display, timer with beeper and a ‘little bit more’ option that we love. Add your drained and rinsed beans to the blender with the water and blend on medium for 3-5 minutes until completely smooth. Add your flax seeds, baking powder, salt, cinnamon and vanilla and blend again until fully incorporated. Add your oats and blend for another minute. Remove the blender from the stand and add your crushed walnut pieces and grated apple and gently stir with a spatula to combine. 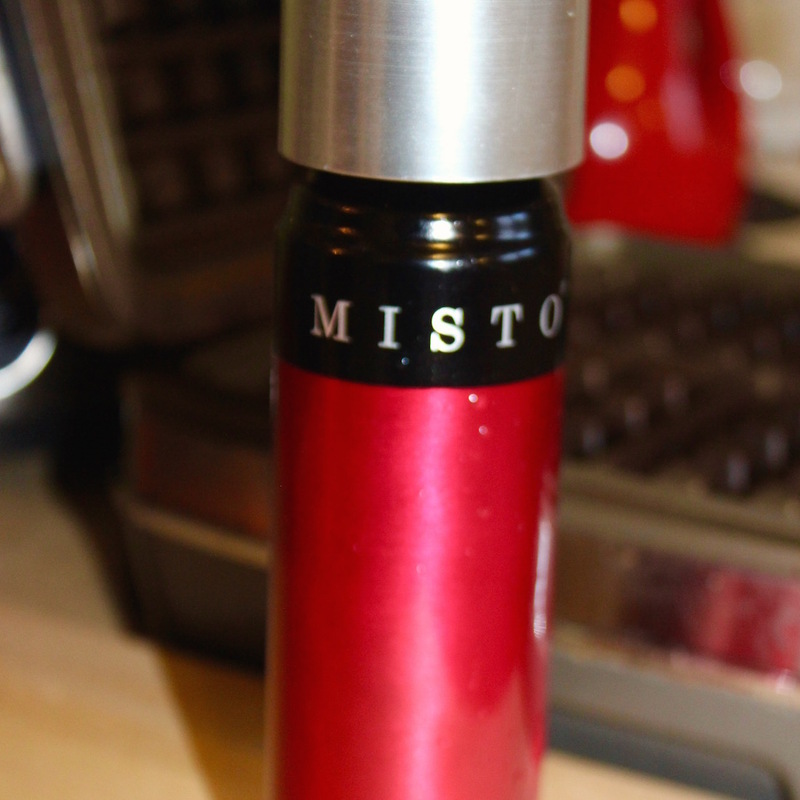 Spray your waffle iron with oil (I love this Misto oil sprayer) and pour in just enough batter to fill the wells. Cook until golden brown for about 6-8 minutes depending on your waffle maker. Add fresh berries and maple syrup. Enjoy! *You can also add blueberries instead of apples and cinnamon. *To reheat from frozen, I prefer to leave them on the counter to thaw for a few minutes before they hit the toaster to prevent them from overcooking. Adapted from Silverstone, Alicia. “Protein Packed Waffles”. The Kind Mama . 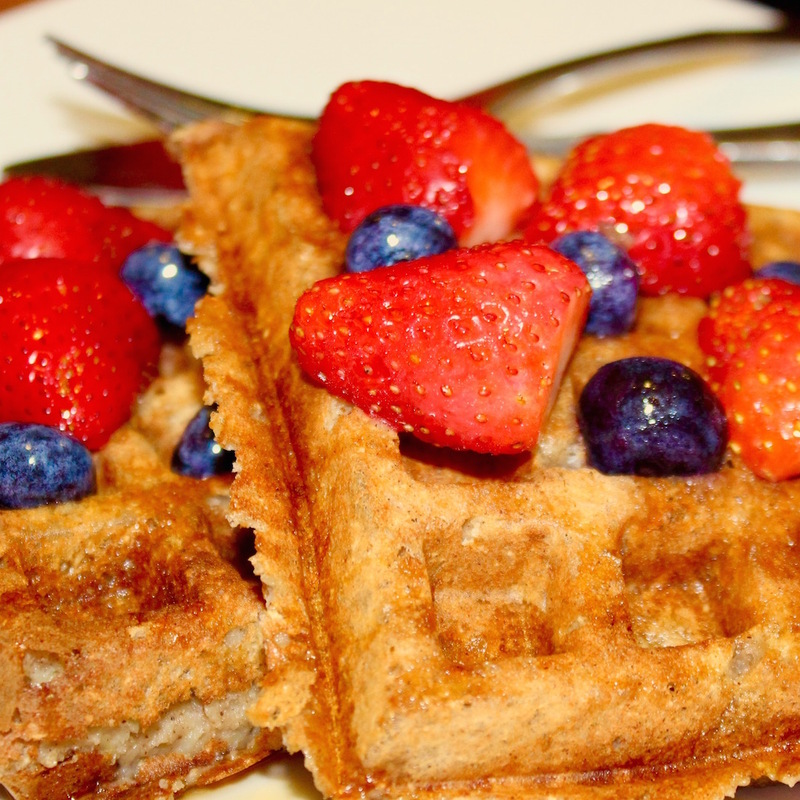 Fantastic, delicious and healthy waffles made from oatmeal and beans. Adapted From: Silverstone, Alicia. "Protein Packed Waffles". The Kind Mama. Add your drained and rinsed beans to the blender with 4.5 cups of water and blend on medium for 3-5 minutes until completely smooth. Add your flax seeds, baking powder, salt, cinnamon and vanilla and blend again until fully incorporated. Add your oats and blend for another minute. Remove the blender from the stand and add your crushed walnut pieces and grated apple and gently stir with a spatula to combine. Spray your waffle iron with oil and pour in just enough batter to fill the wells. Cook until golden brown for about 6-8 minutes depending on your waffle maker. Add fresh berries and maple syrup. Grandparents made oat bean waffles. I like this variation. Hi, can I use ground flax seed instead? The beans are just soaked, not cooked at all? 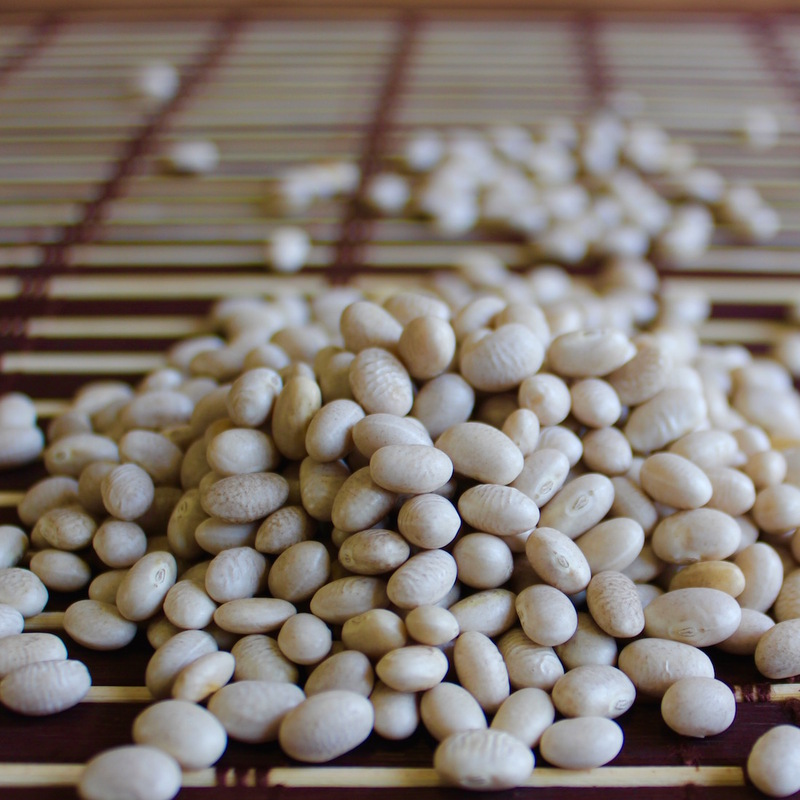 White kidney beans (cannellini) contain a toxin, Phytohaemagglutinin (Kidney Bean Lectin). You’re supposed to boil them to destroy it. Merely heating them up can make the beans more toxic. I personally would never eat cannellini beans that have not been boiled for at least 10 minutes. I will definitely be checking out the other recipes too. Thanks! Glad you liked them Michele. If you want a great pancake recipe try the Carrot Walnut Pancakes. They are delicious!! I stumbled over this recipe and am so excited to try it! Was wondering what you think of using canned beans, I’ve not got any dried. Thoughts? I’ve had a couple of people ask me this. I haven’t tried using canned beans so I’m not sure but I am guessing they might be a bit mushy? Let me know if you try!